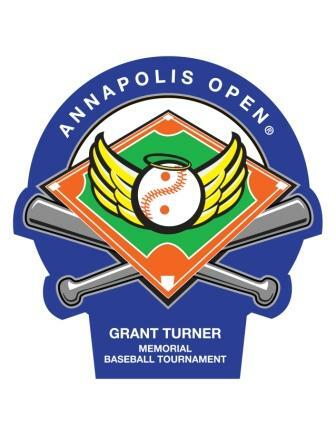 The 14th Annual 2019 Annapolis Open® Tournament in memory of Officer Grant Turner will be held on March 29th, 30th and 31stth of 2019. To register, on or after November 1, 2019, click HERE. Ceremonial Opening is expected at 1PM on Saturday, March 30th, at Generals Highway Corridor Park. We are supporting six age categories: 9U, 10U, 11U, 12U, 13U and 14U in both 'A' and 'B' brackets for each age. Number of teams per bracket will either be eight or sixteen with the determining factor being field scheduling. We hope to support many teams for this great first of the season tournament. The steering committee for the tournament has been meeting to discuss logistics. If you have any suggestions please feel free to send them to any of the committee members. The members include Frank Wood and Beau Brown from Maryland Diamond Umpires Association; Capt. Richard Perry, Commander, Personnel Command, from the Maryland Transportation Authority Police; and of course, Phil and Nancy Turner; Beau Brown from General's Highway Athletic Association. And new this year to enhance our tournament and our registration process, Mid Atlantic Tournament Baseball (MATB). "We really enjoyed the Annapolis Open. Very well organized and good quality baseball. Thanks for all of your efforts." "I think everything was first class (well, me losing two to that select team was not exactly "first class" but they beat me twice fair and square so I gotta overlook that). Thanks for all of your hard work." "Great tournament and we will be back next year at U-12." "You ran a great show at your tournament. I know it took a lot of hard work and patience. On behalf of our club - we thank you!!" "I would like to thank all involved for the smooth baseball tournament this weekend. I am a father of one of the players. The fields were well maintained, the officiating was much more than adequate and the atmosphere of the competition was great. It was a excellent experience for our team and I for one am grateful to you and your organization. Again many thanks."